Published 4/18/2010 . Last updated 9/15/2017 . 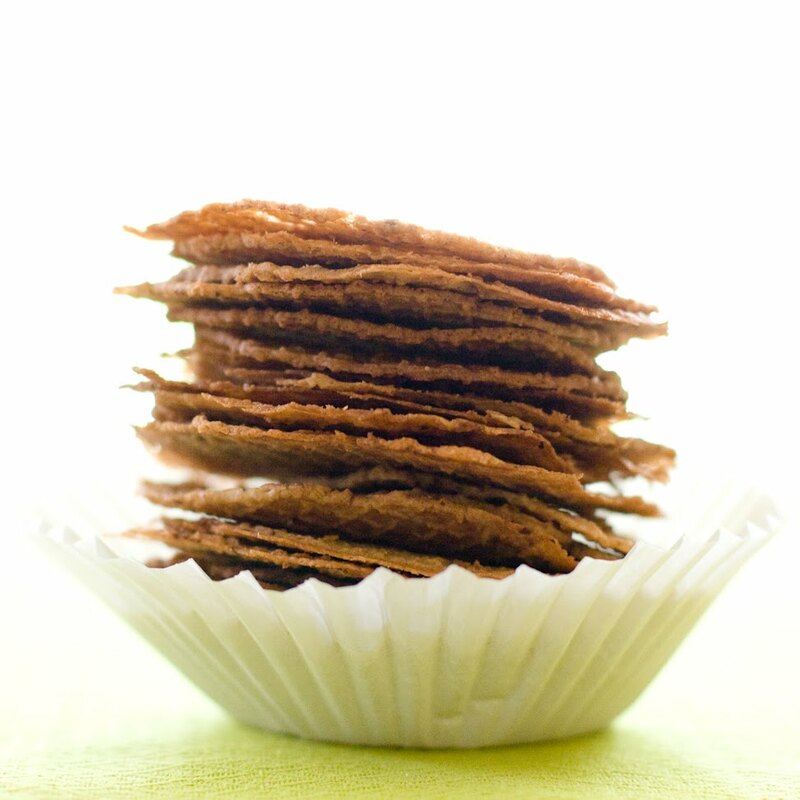 Chocolate wafers are the Pringles of the cookie world – once you eat one paper thin chocolate wafer, you just can’t stop. These chocolate wafers taste like sugar cones with a touch of chocolate or chocolate fortune cookies (I’ve always held the belief that sugar cones and fortune cookies are the same thing). 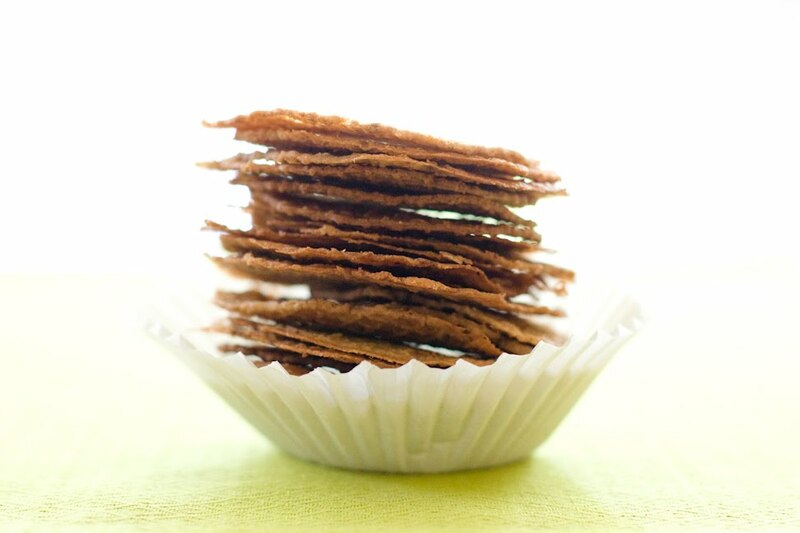 Fans of Italian pizzelles should also note that these chocolate wafers use a pizzelle recipe. 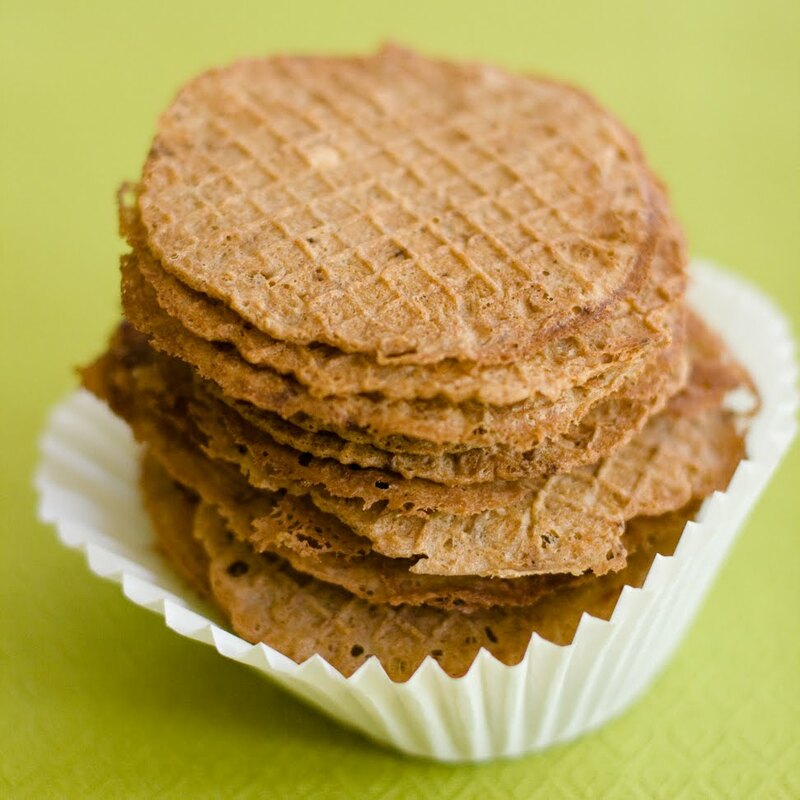 I could have made them in a pizzelle maker (which would have given them a much more decorative pattern). Instead, I made the chocolate wafers in my mini waffle cone maker. I realize that not everyone has a pizzelle maker or a mini waffle cone maker; I guess April is as good a time as any to start your Christmas list. If I had wanted to, I could have rolled the chocolate wafers up into little cones like I did with last year’s mini ice cream cones. Or, perhaps I could have folded them like fortune cookies and put a note inside. But, I left the chocolate wafers as little circles, ate some, and put some on top of my waffled cupcakes. These chocolate wafers taste like sugar cones with a touch of chocolate or chocolate fortune cookies. Warm the mini waffle maker while you mix the ingredients. Optionally, in a small bowl, work the orange zest into the sugar with your fingers. In the bowl of the stand mixer (or bowl with hand mixer), beat the eggs and sugar together until the mixture is light. Add the cold water, cooled butter, and vanilla. Mix on low until the batter is smooth and the chocolate color is even throughout. 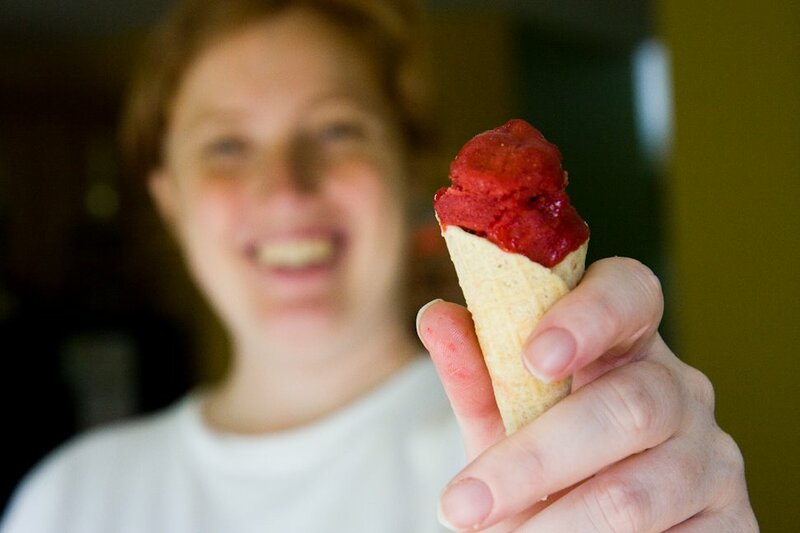 Pour 1 tablespoon of the batter for each cookie onto the heated and greased waffle cone maker and close the top. Cook according to the manufacturer’s directions, usually 30-60 seconds. Gently lift with a fork or silicone spatula and transfer to a wire rack. Store in a tin, not airtight, away from other cookies. They need some exposure to air to stay crispy.